This is our 5 day bricklaying course and you will undertake a brick wall assessment or block wall assessment during the bricklaying course. The certification you will receive upon meeting the criteria of the assessment will be either Cskills Level 1 Build a Brick Wall unit accreditation or Cskills Level 1 Floor Build a Block Wall unit accreditation. Please note: This 5 day bricklaying course is a UNIT ACCREDITATION certificate. If you would like the FULL level 1 qualification: NOCN Cskills Level 1 Certificate in Bricklaying then you will need the 10 day NOCN Cskills Level 1 Bricklaying course. NOCN Cskills (Construction Skills) formally CITB are the awarding body for construction NVQ’s so the NOCN Cskills brand and logos are well known within the construction industry. This unit of accreditation will show potential employers or customers your competence in your chosen trade. If you choose to undertake a 2nd week of bricklaying at YTA (our advanced bricklaying course) you can add to your qualifications by completing another 4 units of accreditation and you will then receive the Level 1 Certificate in Bricklaying. The intensive bricklaying course is aimed at you leaving with the skills to complete your own projects such as a BBQ, garden wall or garage. This course is run every 4 to 6 weeks so places can fill up quickly. We only have 5 places per course so be quick and place your £100 deposit to reserve you place! 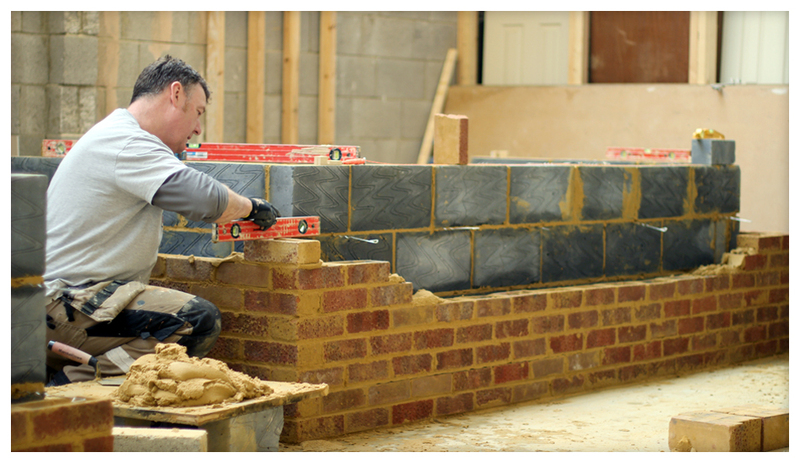 The bricklaying course is a very ‘hands on’ course and you will spend most of your time bricklaying. We can build a small project similar to something you are wanting to undertake after the course, the choice is yours. 5 Day NOCN Cskills Level 1 unit Bricklaying Course = £550 including vat.